I’ve got a friend who has a couple of young kids my son enjoys playing with. So we sometimes talk about interesting tech the kids could ‘theoretically’ use. Or said another way… a few test subjects we need for some new tech we want to try out. Do You Want to Own Your Own Narrative? 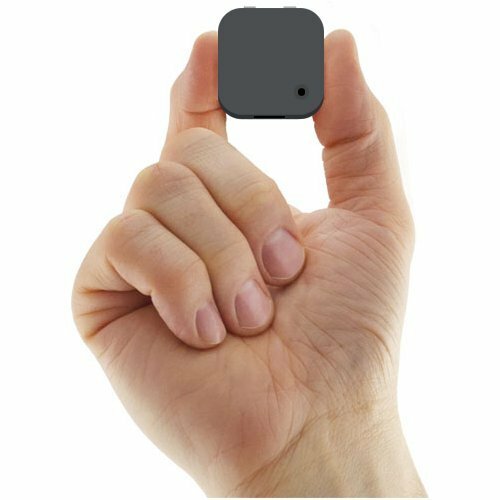 Our latest discussion has focused around this cool little wearable camera called the Narrative Clip. You clip it on your shirt or hat, and it snaps a photo every 30 seconds. It stores 6,000 pictures and can go for two days on a charge. It uploads your resulting mass of photos to the Narrative cloud, which you can access with the Narrative app. Imagine all the found photographic moments you’d capture without even trying! We could pop it on one of the kid’s shirts and see what happens over the course of an afternoon. Then, I started thinking about the whole scenario a little more. Remember “The Truman Show” with Jim Carrey? So theoretically, I could pop a Narrative Clip on my four-year-old’s shirt, plop down on my barcalounger for a decade and watch his entire youth unfold. Then, it started to feel a little weird surreptitiously capturing someone’s life. And even if the subject were aware of the ‘experiment,’ everyone else wouldn’t be. So we start to enter privacy questions… à la Google Glass. But, I know I’m taking the use of this tech into the outer limits of possibility. I think most people would use a Narrative Clip to capture a specific event or activity. Then, you could free yourself up to fully immerse yourself in the moment as opposed to remaining preoccupied with having to snap some good pics for posterity. Plus you might catch some magic moments you might not otherwise have seen. My creative self is impressed. The photo management question can blow your mind. But how would you feel about having all these unfiltered life moments stored in someone else’s cloud? And sure, you can download them to your computer. A Narrative Clip’s got 8GB of onboard memory. Suddenly, I can’t see the effortless magic of Narrative anymore. I just see all the work it’s going to give me. Sure, that’s fine for a while, but after a few events or days, wouldn’t it feel overwhelming? Hasn’t someone ever wanted to show you a picture on his smartphone and then taken a couple of minutes to furiously scroll through so many other photos to get to the one he wanted? Multiply that by the power of gazillion. So let’s forget my little tech tirade for a moment. Let’s assume you’re a believer. And then it’s $9/month after that. I can handle the sub-$300 price tag… a figure I’m usually comfortable with when shopping for a point-and-shoot camera. But over the course of a couple more years… that’s when this device really gets pricey. Is my son going to be a cooperative test subject and let a Narrative just sit attached to his shirt? He’s going to want to take it off and then take it apart. Son of At Home with Tech. Yeah, I don’t think there’s a Narrative Clip in my immediate future. Until then, I’m going to have to continue shooting my own narrative the old fashioned way. That said, for those of you out there successfully lifelogging with your Narrative Clip, I salute you!